Mike Dunleavy at 6-9 could make threes and big ones, like he did Friday night in the Bulls’ vital 100-97 victory over the Washington Wizards, like the five threes in the 2001 NCAA title game and a team-high 21 points as Duke won the national championship. “He always played big when it counted,” says his father, former NBA player, coach and executive Mike Dunleavy Sr. The Bulls look forward to that again Sunday in Game 4 in Washington with the Wizards’ Nene suspended and Washington with a 2-1 series lead. Here was a versatile player, intelligent with a basketball pedigree, a good shooter, ball handler and passer, a player with the size and playmaking knack to play like Magic Johnson and the shooting skills to play like Larry Bird. Though perhaps that NCAA title game epitomized the paradox of being Mike Dunleavy, the Bulls forward whose 35 points and eight three pointers in Game 3 of the playoffs was a season saver for the Bulls. The headliners in the media story after that NCAA title win were Shane Battier and Jay Williams even as Dunleavy’s shots and 18 second half points enabled the 22-point comeback against Arizona. Advertised as a star, Dunleavy preferred the ensemble. He was his best with better teams; he is the ideal complement to greatness, a higher level Battier, who has enjoyed title success as a Miami role player. Dunleavy’s weakness, in a sense, is he’s too talented to be that sort of player. He can do so much more. So he ended up on poor teams in need of a star and wasn’t destined for that role. He had the second longest game streak without being in a playoff game until with Indiana against the Bulls in 2011 and then with Milwaukee last year. Despite a larger financial offer from the Bucks, Dunleavy took a reduced amount and presumed backup role to join a Bulls team that had the potential to play for a title this season. Dunleavy was thrilled to pieces to be a piece. But then Rose was injured and Luol Deng was traded; Dunleavy the role player had to become Dunleavy the starter again and to provide that much more. “Ultimately I came here for the core beliefs and culture and the way this organization went,” said Dunleavy. “They could have guys come and go and be injured and those things stayed the same. They did and that’s why we were able to have a successful season. Dunleavy’s basketball journey has been one of the more unusual for the expectations it created and the reality that was inevitable. He is regarded more highly by basketball insiders than fans outside. Yet, Dunleavy has also become an integral part of this overachieving Bulls season and an important player going forward, averaging 11.3 points and second to D.J. Augustin in three point shooting. Dunleavy is routinely among his team’s best in plus/minus and third this season on the Bulls behind Joakim Noah and Jimmy Butler. He leads the team by a wide margin in charges taken. When he went to Golden State as a rookie, the coaches were amazed at, of all things, his post passing and inbounding. You don’t much want to say that out loud about your top draft pick. It perhaps was Dunleavy’s curse as well, to be less interested in the individual accomplishment than the group well being. Not to say stars like Johnson and Bird weren’t. And not to say Dunleavy had quite those skills. “I probably don’t have that degree (of scoring skills) to be in that upper echelon,” Dunleavy was saying after a Bulls team meeting Saturday at their Washington hotel. “I always was more team oriented. It’s what I knew from Duke; that was what was successful for me. I had to learn to change my game. It wasn’t until I got to Indiana (and averaged 19.1 per game one season before surgery) that I learned to be more assertive and aggressive and take a bigger role. Still, it was an affliction of sorts that in some sense defined the career of the stoic Bulls forward. Dunleavy always wanted to fit in to be part of something great. Sometimes they punish you for what they want you to be as opposed to what you are. Mike Dunleavy may be the NBA poster child for that. Dunleavy was the natural as a kid with his father coaching the Los Angeles Lakers. He was a tennis champion at 10, top player in the Westwood Little League, soccer goalie on a winning team, quarterback of a title team. Mike wanted to try football, but dad advised otherwise and Mike decided to pursue basketball seriously. Dad also had an idea. “I said I didn’t know how big he’d grow to be, so I said to be a point guard, that you can always play that spot,” said Mike Sr., now a Sirius NBA radio host. We know Mike Jr. is laconic, so much so that teammate Noah often says he marvels at Dunleavy’s advice to not get too high or too low. Though that would eventually hurt Dunleavy with the Golden State fans. It hit home as well with Mike’s mom. “I came up home a few times and my mom was telling me not to be a ball hog,” Mike Jr., recalled with a laugh. “I became a better passer and came to appreciate that part of the game. I became more well rounded. The life was like the military with junior high in Los Angeles, high school in Wisconsin and Oregon. But Mike embraced it all with his basketball. Teammates adopted him immediately with his abilities and unselfish game. “It’s unusual, but you get used to it,” Mike said. “By the time I got to high school I almost relished (the moving): ‘OK, time to move again.’ It was just the way I was raised. As it goes on you block out the negatives. You become a lot closer to your family, my brothers, my mom and dad. You spend a lot of time with them. It’s definitely a different upbringing, but I wouldn’t change it for anything. Dunleavy then went to Duke with Carlos Boozer as a teammate and with his array of skills and big game play he became the No. 3 pick in the 2002 draft after Yao Ming and Jay Williams. The Warriors had the most ping pong balls for the lottery, but they fell to No. 3. They’d expected finally a center and also special an Asian in the highly Asian San Francisco Bay area. It’s also a raucous basketball market, perhaps the most emotional home crowd in the NBA. Dunleavy came in the top pick with a young team that included Gilbert Arenas, Jason Richardson, Troy Murphy and Antawn Jamison. 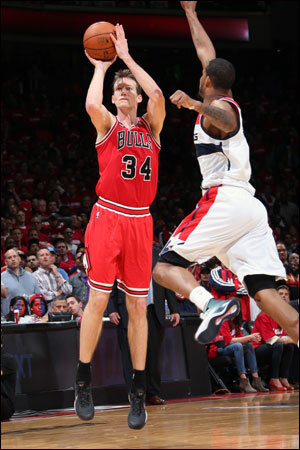 Dunleavy came off the bench as a rookie averaging 5.7 points. He’d go on to start the next season, though the team didn’t improve much amidst another coaching change after his second season to Mike Montgomery and then another to Don Nelson. Nelson the mad scientist coach decided to make Dunleavy a power forward when he was closer to being a point guard. Late one season he ran the point as a point forward type and had near triple-doubles. But the fans wanted emotion; they wanted excitement; they wanted an enthusiastic star. Dunleavy delivered fundamentals, less appreciated on a losing team than on a team like the Spurs. If he were with the Spurs he might be a legendary player. The Warriors continued to lose. It was a habit with the last three seasons averaging fewer than 20 wins. It was a wild team of young talent and selfish scorers. Fans fell in love with hustling overachievers like Purdue’s Brian Cardinal, who got a nickname of “the Custodian” for cleaning up. T-shirts were printed up. Dunleavy averaged more in every category, scoring in double figures with almost six rebounds and three assists and shooting almost 40 percent on threes and was booed. Ironically, those around the Warriors remember the fans’ embrace of Dunleavy being the greatest one game when Dunleavy uncharacteristically chased after official Bill Spooner, was ejected and threw his jersey into the crowd when leaving. It’s not Mike. “Having the basketball background I did growing up hurt me early in my career,” Dunleavy says. “I had an expectation of how NBA teams should play and be and it was not that. Let’s say it was different than I expected. Growing up to be 6-7, 6-8, 6-9 with shooting ability because of that I changed positions (to forward) but always had that mentality to think team first, make the right plays. Sometimes it’s not the best thing when you are in the position I was. 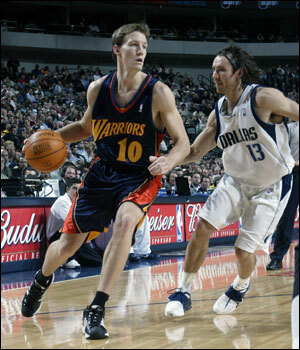 Dunleavy averaged 19.1 in 2007-08 with the Pacers. After missing just 11 games in his first six seasons, a long problem with a bone spur in his knee cost him most of the 2008-09 season even as he averaged 15.1 points. Dunleavy had avoided surgery because doctors said there was an even chance it would be career ending. The pain got so bad he had surgery late in the 2008-09 season and was able to come back and play most of the following season. Dunleavy signed with the Bucks in 2011 and became their top reserve and one of the league’s best sixth men in averaging double figures in two seasons. He signed with the Bulls last summer and they still have a chance to be playing into the late spring because he did.